Solitaire Townsend is an entrepreneur, sustainability expert and author of ‘The Happy Hero - How to change your life by changing the world’. 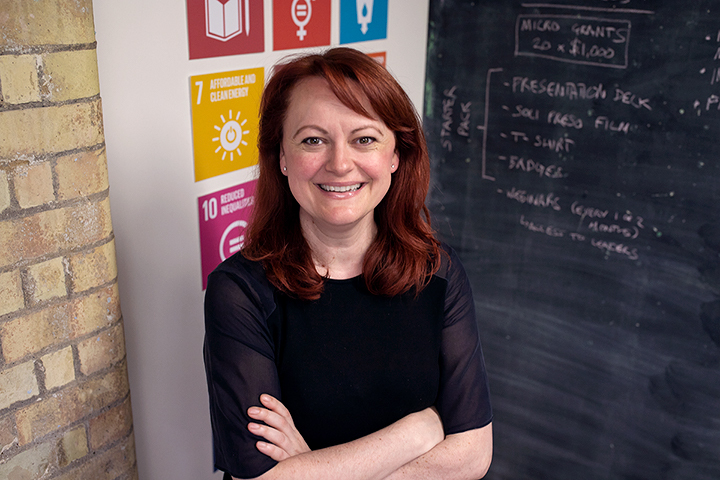 She co-founded the change agency Futerra in 2001, one of the first sustainability agencies in the UK, through which she has advised governments, charities and major corporations like Danone and Nike. From humble beginnings, Futerra now has offices in London, New York, San Francisco, Mexico City and Stockholm. She has been a TEDx speaker, and has written for the Guardian and the Huffington Post. She was named ‘Ethical Entrepreneur of the Year’ in 2008, is a member of the UN Sustainable Lifestyles Taskforce, and a London Leader for Sustainability. Soli’s book could almost be seen as a manifesto for this podcast, all about the powerful evidence that becoming a change maker is something that makes life better and more fulfilling, as well as making a difference to society. In this interview, we get into the detail of how Soli’s own life was changed dramatically by one catalytic moment, and how positivity in the face of big problems is the most powerful element you can have at your disposal.